Whether a tourist or a local, a stop in Old Town Eureka is not complete without a visit to the Clarke Historical Museum. 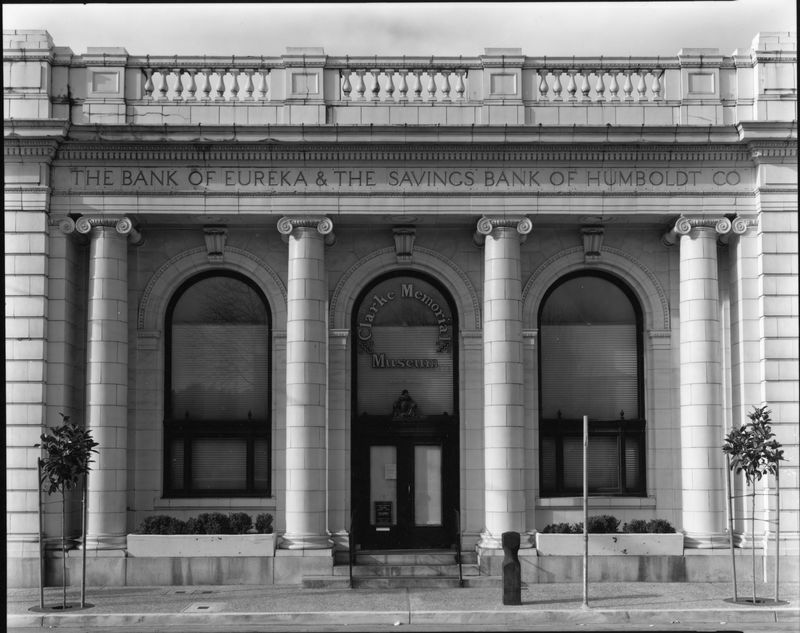 Founded by Eureka High School teacher Cecile Clarke, the museum has been housed in the landmark Bank of Eureka building since 1960. The Clarke Museum proudly displays the rich history of Humboldt County, which includes vibrant Native American cultures, gold rush settlements, the lumber industry, prosperous ranching, farming and livelihoods wrung from the sea. Walking through period rooms and changing exhibits, visitors can glimpse Victorian elegance, remarkable craftsmanship, and everyday work, home, life and play from Humboldt County’s past. We look forward to making your next visit to Humboldt a historic one! The Clarke Historical Museum is now the site of the Eureka Visitor Center, operated by Humboldt Made. The Clarke Museum in the News! We do our very best to be open during the hours listed below, yet due to our small staff, it isn't always possible. Feel free to call in advance of your visit. ​11 a.m. to 4 p.m.
​ objects relating to the history of Eureka and Humboldt County's heritage. Thanks for voting us as the Best Museum for 2018!